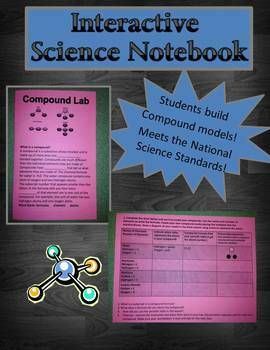 In this lab, students will build simple molecules using marshmallows and toothpicks. This lab works well with short science blocks. Students are asked to build four simple molecules using their periodic table, flavored marshmallows, and toothpicks. 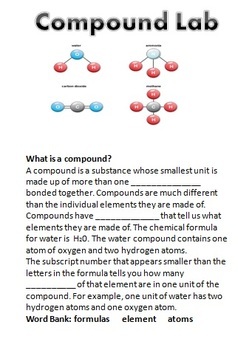 The lab sheet has a cloze assessment with a word bank on the front and some follow up questions after building compounds. 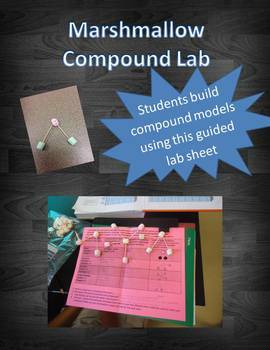 This lab was designed to be completed within one class period and give students a chance to create 3-D compound molecules. The marshmallows and toothpicks are simple materials you can purchase at any grocery store, and they are inexpensive. A teacher key is included. MS-PS1-1. 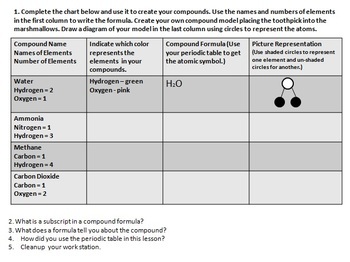 Develop models to describe the atomic composition of simple molecules and extended structures. Please let me know if there are any changes you need to the lab, I would be happy to assist you.